Try two of Turkey's most popular outdoor activities on a full-day tour from Alanya. 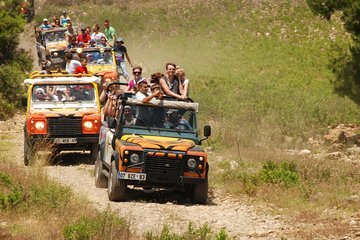 Ride a 4-wheel drive Jeep through mountains and villages, meet local people, and have lunch by the Koprulu River before going white-water rafting in the afternoon. Includes lunch, transportation, rafting, Jeep safari, and hotel pickup and drop-off.